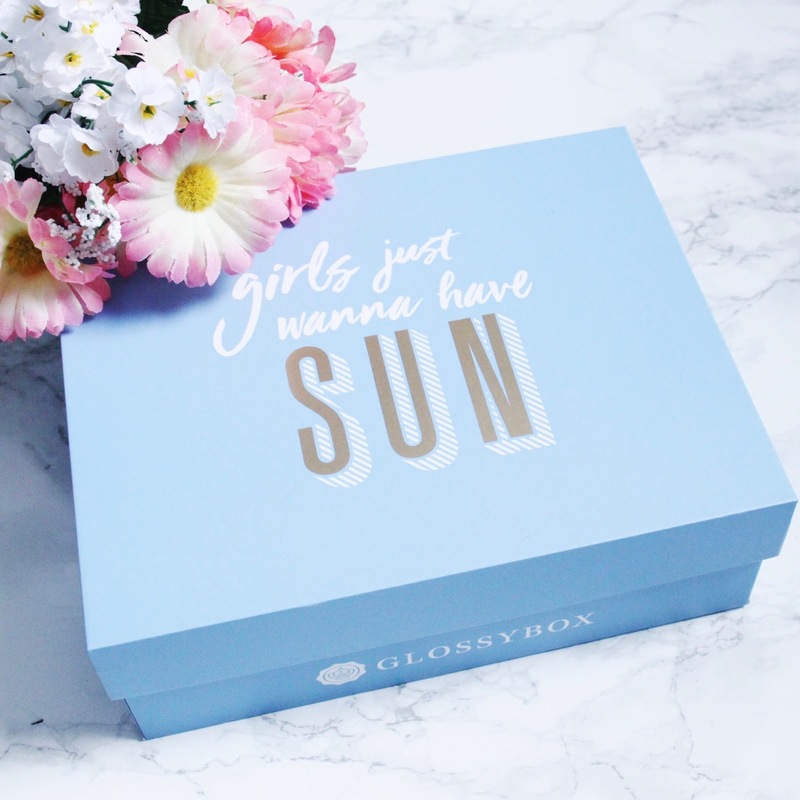 This months Glossybox has got to be my favourite one so far, apart from 1 product I liked everything that I received and am definitely going to get some good use out of it all. So I thought I would share with you what I got and some up close pictures and also what I thought of each product. I am in love with this bronzer and the colours of it and has been safely added into my little collection of different bronzers that I am currently testing out. It says it's best used when all the shades are swirled together and then swept over where the sun would naturally hit your face, which is the cheek bones, the bridge of the nose and then over the forehead aswell as the chin. Absolutely love this product my favourite out of the whole box I would even go to say, it's in a gorgeous soft berry shade that matches my lips and skin tone perfectly. On the glossybox card that comes with every box it says this product is "Intense, Matte, Moisturising" and I can definitely agree and say it's that! I tend to do the softer look with this which is to apply it all over the lips and then slightly blur the edges with finger tips. I'm definitely going to look into buying some more of these. This is another product that I have still yet to try, it smells amazing though! I was planning on trying it out last week but one of my horrible 4 day headaches decided to make an appearance, and I could barely move my head. I'm definitely going to try this out this week at some point though, so I will be sure to let you know what I think of it. This was my least favourite of the August Glossybox, although it smelt nice it did absolutely nothing for my hair at all, except make it feel greasy. As soon as I put this on my hair within 5 minutes I had to go and fully wash my hair cause it felt horrible. I've tried other products by Batiste before but this is one I wont be going on to repurchase. I think this is such a pretty little addition to this months Glossybox, it's described as a bracelet but could also easily be used as a hairband aswell. I love the baby blue colour of it with the gold detailed writing on it, it's just so cute. I was so excited to see this in my box this month and even more excited that it came with the 4 colours to fill the palette with aswell. It came with 2 eyeshadows, a blush and also a highlighter, the colours look amazing although I haven't yet tried them but will be doing so soon!